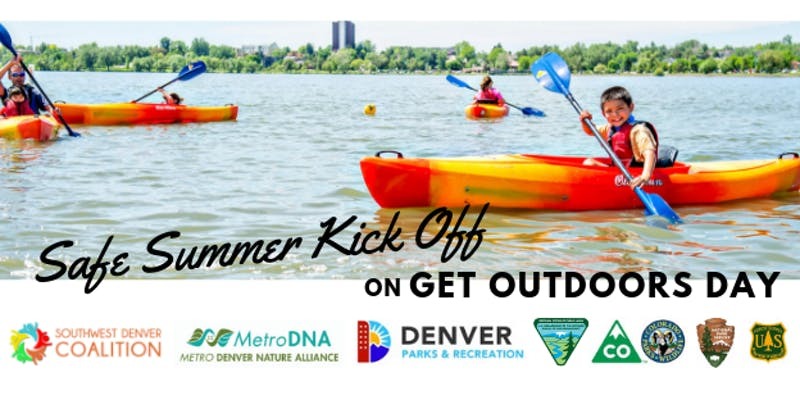 Get Outdoors Day Colorado and SouthWest Denver Coalition are joining forces to host Safe Summer Kick Off on Get Outdoors Day (SSKO GO), Saturday, June 8, 2019, at Garfield Lake Park from 10am to 3pm. This free, family-friendly event is designed to promote access to healthy and safe outdoor spaces, support under-resourced communities, and celebrate nature exploration. An exciting coming together of two long-time successful events, this partnership facilitated by the Metro Denver Nature Alliance seeks to strengthen connections between resource providers and the communities they serve; promote healthy, active, outdoor lifestyles; and reflect and celebrate the diversity of people and nature in our region.